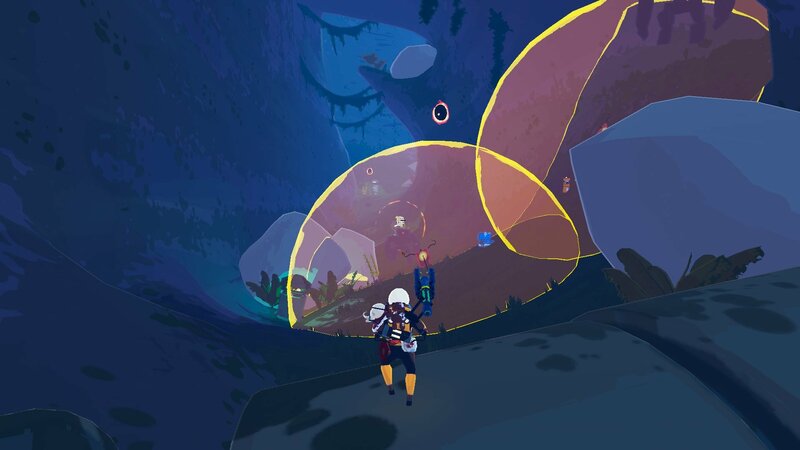 Getting the most out of Risk of Rain 2 involves unlocking its various characters, and the Artificer is perhaps one of the most complicated unlocks in the game. Players must "free the survivor suspended in time" to unlock the Artificer, but it may not be immediately obvious what that means. That's why we're here to help spell out the details. Instructions to "free the survivor suspended in time" don't really tell Risk of Rain 2 players how they can go about unlocking the Artificer. While the phrase certainly applies to the final step, knowing where to begin the search is another matter entirely. The first step to unlock the Artificer involves tracking down 10 Lunar Coins. Often dropped by defeated enemies, these coins appear as blue-hued circles and must be picked up by the player manually. Fortunately, they don't all have to be collected in a single run, as Lunar Coins stay in the inventory between deaths. With 10 Lunar Coins in hand, look for the nearest Newt Shrine — it'll have a blue hue similar to that found with the Lunar Coins. Interact with it to have the game issue a prompt staying that a blue orb has appeared. After that, find the nearest teleporter, activate it, defeat the boss, then step through it to arrive in the Bazaar Between Time. Like with the game's Celestial Portals, walking into the Bazaar Between Time can be a little disorienting. No worries though, there aren't any dangers here. As opposed to peril, somewhere in this strange dimension will be a massive lizard-like creature standing near a crystal. Approach the crystal and activate it, then offer up the 10 Lunar coins in order to "free the survivor." Doing so will unlock the Artificer character. It's not complicated to free the survivor suspended in time and unlock the Artificer in Risk of Rain 2. With that said, it's not exactly straightforward, either. Hopefully this guide helps players track down another of the many unlockable characters in Risk of Rain 2. Be sure to stay on top of the game with all of the detailed guides featured on Shacknews' Risk of Rain 2 home page. Didn't realize you had to spend a coin to gain access to the shop or whatever. I assumed it was just random. Thanks for the guide!